Why should you care about Cardi B? As a real estate investor with your own set of skills, you can learn a lot from her success. We’re being a little cheeky here, but there are real lessons to be learned from Cardi. Any time the press starts buzzing about a phenom that “came out of nowhere” you can pretty much guarantee that there’s more to the story: more work that got put in, more teammates behind the scenes, and more planning and strategizing that happened behind closed doors. But if you follow the breadcrumbs you can figure out how [INSERT OVERNIGHT SENSATION] made it to the top. Cardi’s rise is no different. 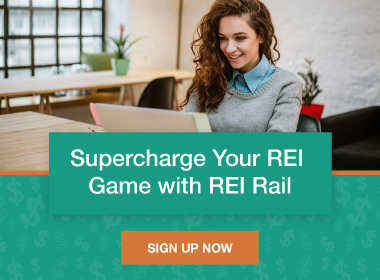 The way she has taken over the music scene is exactly how REI professionals can dominate their market. Let’s break it down into ABCs. Have a look at Cardi’s Instagram and you will see that this lady is nothing but herself. She doesn’t care about ruffling a few feathers, and this attitude is clearly working because she’s dominating the game. The Cardi B effect is infectious because she is so authentic in everything she does. Her label gets it, which is why she has free reign to do and say whatever she wants. What can you take away from Cardi’s authenticity? When you’re talking to prospects on the phone or in real-life conversations, people want to feel like they’re talking to a real person who come off as authentic. They definitely don’t want to get a robo-call, and they will quickly tune out if they sense a pre-canned speech coming. Newsflash: We are all calling the same people. We all know what the markers of homeowner distress are. And we’re all working to find those people in our market. Your prospects will more than likely talk to more than one investor before deciding who to sell to. The differentiating factor is YOU. So be as fully and authentically you as possible and the business will follow. Where does Cardi’s boldness come from? She has confidence in her talent, she’s passionate about her work, and she is enthusiastic when she engages with her fan base, whether she’s performing on stage or posting a video for her Instagram followers. All of this shines through in her feisty personality that quickly captivates her audience. This is a woman who says what’s on her mind, with no filter and no apologies. Crazy outfits and brazen statements might not be the right approach for a real estate investor (or maybe it is … you do you), but you can still take a page from Cardi’s book. When you’re trying to buy somebody’s property, you must be confident and enthusiastic when you approach them. The great Zig Ziglar (who is not a rapper—though you’d be forgiven for thinking that name belonged to an MC) famously said, “Sales is a transference of feeling.” If you feel confident and excited about what you’re selling, your prospect will too. Now, you also have to know your stuff and be able to expertly answer questions from prospective sellers. But once you know your stuff, be bold! Be confident. And you will be successful. Cardi B knows that using just one marketing approach is not enough. She uses every platform available to get her brand out there. She has more than 36 million Instagram followers, 7.5 million YouTube subscribers, more than 6 million Facebook page likes, and more than 4 million followers on Twitter. Not surprisingly, marketers have taken note of her insane popularity; she has collaborated with Steve Madden, Lyft, Amazon, Spotify, and other major brands, which only increases her exposure and solidifies her standing as a powerhouse in the entertainment industry. In addition to being a social media icon and award-winning performer, she also maintains a strong presence on TV, radio, and print media. But here’s the kicker: she’s backing it all up with chart-topping music because she’s good at what she does. If you can get just a fraction of the traction Cardi has in any of these channels (including owning the phone! ), you can dominate real estate investment. Host seminars to position yourself as an expert, use Facebook to find prospects, create videos for your social networks, and make a name for yourself in the hottest real estate markets. Whatever marketing you’re doing, step it up and leverage more channels. The lesson here is to to cast a wide net and be ready for the results, okurrr?! Pair your multi-channel marketing efforts with a call tracking solution that feeds you powerful information for every prospect, and your business will see insane results. 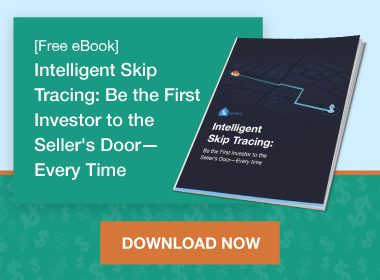 Skip tracing data combined with smart call tracking technology allows you to personalize conversations so you can have meaningful interactions with prospects. If you can be authentic, be bold, and channel market like Cardi B, you can dominate real estate investing just like she is dominating the entertainment industry.